There was an impressive turnout, with many individuals and organisations represented. The morning opened with the Mirima Dancers giving a fantastic performance. There were speeches by a number of distinguished guests, including the Premier of Western Australia, the Hon. Mark McGowan, the Member for Kimberley, the Hon. Josie Farrer and WA Chief Justice Wayne Martin. 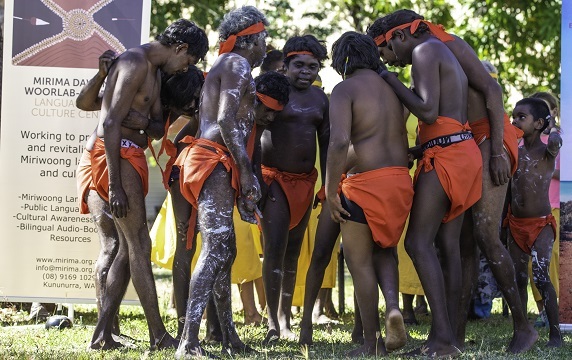 All speeches reaffirmed the importance of embracing and celebrating Australia’s Indigenous languages. 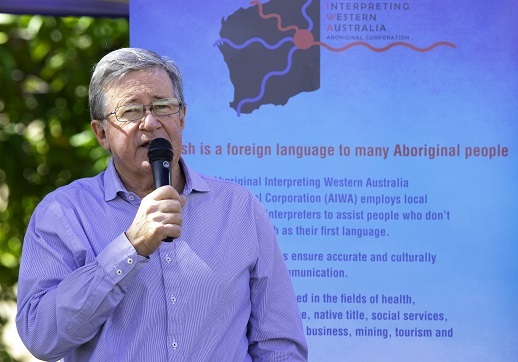 WA Chief Justice Wayne Martin particularly emphasised the importance of giving Indigenous people full access to justice through the use of interpreters. The Miriwoong Language Nest team were engaging as always, teaching a number of Miriwoong songs to the children present. The young learners picked up the songs quickly, as most were already familiar with the activities from Language Nest sessions. 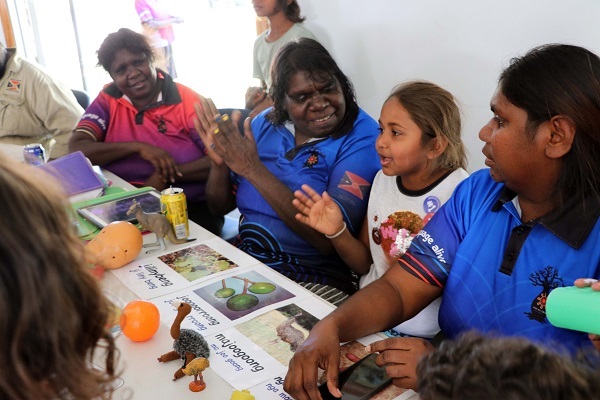 Miriwoong Language Workers took the opportunity to showcase their publications, with the audio-pens continuing to impress those unfamiliar with the innovative technology. The Miriwoong Language Nest team taught children at the Open Day a few Miriwoong songs. The MDWg team extends a big thank you to everyone who attended on the day. 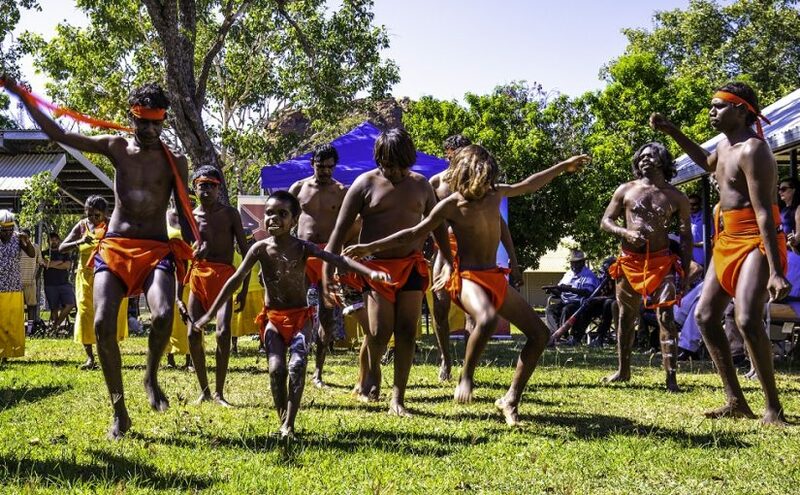 The large turnout shows us that people are supportive of our mission to preserve and revitalise the Miriwoong language, and ready to recognise the importance of celebrating linguistic diversity in the region and across Australia. Previous Previous post: NAIDOC 2018: Because Of Her, We Can!